The story of the 15 year old boy who plunged to his death while working on the Titanic is a touching one. So much so, that Nicola Pierce modelled her lead character in 'Spirit of the Titanic' after him. 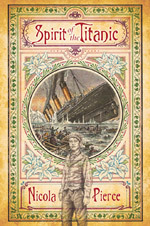 Re-imagining his life (and death) and subsequent haunting of the most famous ship in the world on it's maiden and final voyage, Pierce wrote a Titanic novel with a unique twist making it a fascinating and compelling read. Now, just in from the BBC News, it seems that the real life Samuel Stone, who has been buried in an unmarked grave all these years since plunging to his death in 1910, is finally going to be honoured with a headstone. The headstone will be unveiled in Belfast Cemetery on Saturday as part of the Feile an Phobail festival. Today's Irish Times has a brilliant review article filled with suggested summer reads for children. 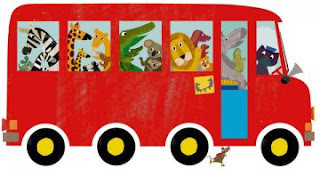 Anna Carey (journalist and author of the highly entertaining 'The Real Rebecca'... a great read for young adults in and of itself) covers some of the newest offerings in picturebooks. These include such beauties as: The Wheels on the Bus, illustrated by Britta Teckentrup through to a more traditionally illustrated No One But You (illustrated the master PJ Lynch) by Douglas Wood. And one of my favourites is Ladder To The Moon by Maya Soetoro-Ng. It has been called a bit twee by some, but I think the storyline and the illustrations are simply beautiful. Then again, I am a grandmother. Then Mary Shine Thompson takes us on a quick spin through Hell and back through other fantasy realms with her suggestions for 10-12 year olds (and I might add, for some of us a good bit older.) Beginning with John Connolly's newest, brilliant, fast-paced Hell's Bells (if you haven't read it yet, do so immediately! ), journeying through The Cryptid Files: Mexican Devil by Jean Flitcroft, The Emerald Atlas by John Stephens, and Warlock by Michael Scott.... this seasons fantasy books are indeed outstanding! 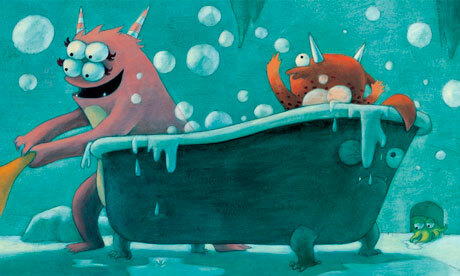 From the Guardian, here are a few reviews of new picturebooks, just perfect for bedtime reading. Included are: The World Champion of Staying Awake by Sean Taylor/Jimmy Liao, Creepy Monsters, Sleepy Monsters by Jane Yolen/Kelly Murphy (brilliant! ), Dear Fairy Godmother by Michael Rosen/Nick Sharatt..... all worthy contenders for best bedtime story of the summer. 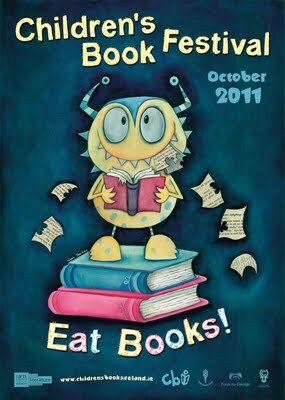 Children's Books Ireland has announced the illustrator for this year's Book Festival poster and catalogue. And it is..... (drum roll inserted here).... the wonderful Niamh Sharkey!!!! 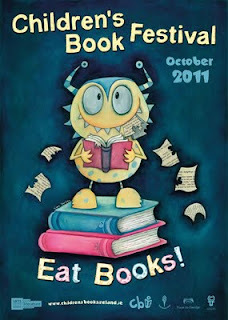 During the month of October, the entire country will be snacking on all kinds of tidbits from children's literature. There's a brilliant catalogue full of reviews and recommendations of children's books for all ages. Libraries, bookshops and schools... and other venues across Ireland will be loaded with events to bring the joy of books to children. Check out the link below for more sneaky bits of information. From those good people at Art and Hobby in the Corbett Court Shopping Centre, Williamsgate Street, Galway... a great summer competition for the kids ( anyone age up to 12/13 yrs.)... A KITE MAKING COMPETITION!!!! 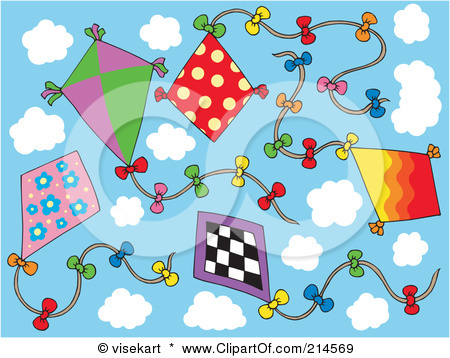 "Design Your Own Kite Competition! We have an exciting new competition starting today in store - design you own Kite! It doesn't have to be able to fly and can be any size and shape. Check out our window display to see Jenny and Michaela's creation! The more creative the better and entries will be displayed in store!" In this marvelous interview from Keith Gray in Inis Magazine, the obvious is pointed out.... books are for life, not just for homework. Something we need to consider now in mid-summer, as we are preparing our children for going back to school. A very important consideration, especially when we are getting so much negative information on the state of support for our libraries, our bookshops and with the ever-growing push towards digital media for children's books. Kids need books.. you know, paper and print. And, again, I ask everyone to give some thoughts towards an incentive here to give every school age child a public library card. This would be a fantastic gift towards literacy, imagination and education. Any thoughts? "Public libraries' ability to make reading fun isn't just a luxury we can no longer afford, it is critical work. The Summer Reading Challenge has now become so widespread that it can act as a pivot for schools and libraries to develop joint strategies to promote literacy. We are calling for every head teacher to weave it into the school improvement plan and to ensure every primary school is a member of their local library." Michael Rosen, who is a patron of the Summer Reading Challenge, wants to see every child attending school to be issued with a library card. What a brilliant idea! I would like to see that happen here in Ireland, as well. What about you? Any ideas how we could get this started? Well... it all ends here, so they say. 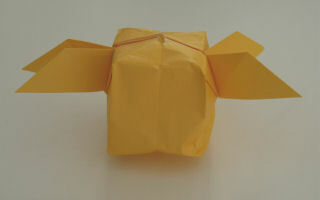 But just to extend your Harry Potter excitement, how about origami golden snitches. I was put on to this site (activity village) yesterday by a wonderful colleague (thanks, Oisin!) who promptly made me a golden snitch. 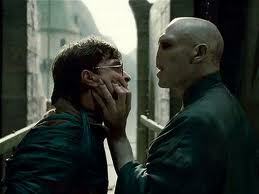 Really easy once you get the hang of it, and who doesn't want to catch a golden snitch? Just follow the link for the download directions! 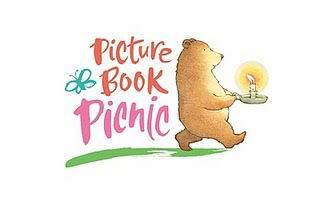 If you happen to be venturing to Dublin this weekend, you will definitely want to attend the Picturebook Picnic, part of the Made in Temple Bar Festival and sponsored by The (wonderful, wonderful) Gutter Bookshop. The evnt is free, but ticketed, so pick up your tickets at the Gutter Bookshop. With the premiere of 'Harry Potter and the Deathly Hallows, part 2', the film adaption of the boy wizard's story reaches it conclusion... with much excitement and more than a few tears. On the link below, the BBC has has dipped into their archives and presented a few film clips that shows how the young stars have grown up on screen. Amazing to see them as very young actors and realise how much they've grown. And, just for all of you and running the risk of repeating myself, here's a YouTube video of the trailer for the latest film. Got your tickets, yet? Out Of Shadows by Jason Wallace , published by Andersen Press was given the Branford Boase Award 2011 last night. The Branford Boase Award is given annually to the most outstanding work of fiction for children created by a first time novelist. The Branford Boase award also honours the editor pf the winning title, in this case Charlie Sheppard, and highlights the important work done by editors in nurturing and bringing to light new authors. Previous winners have included such critically acclaimed authors as Marcus Sedgwick, Meg Rosoff, and Mal Peet. 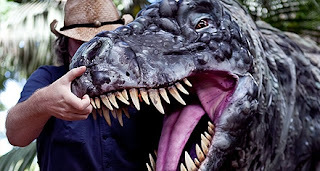 Out of a very competitive, outstanding shortlist, the writing quality and important storyline, filled with subtlety and nuance tipped Out Of Shadows over the edge to become the 2011 winner. Congratulations to both Jason Wallace and Charlie Sheppard. I'm sure we are all looking forward to seeing more of their work in the very near future. The Branford Boase Award, given annually to the author of an outstanding debut novel, will be announced tonight in London. So I've just enough time to pass on the shortlist, and it is a varied and fascinating shortlist. My personal favourite on the list is 'The Crowfield Curse' by Pat Walsh. An excellent work of historical fiction that reads like 'A Company of Liars' for ages 10 years+. (My thoughts on 'Crowfield Curse' should be on the 'Older Reviews' page). Fingers crossed! The second July thing I want to share is that 'Reckless' by my very favourite young persons' author, Cornelia Funke is now out in paperback. 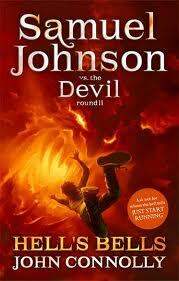 The begins a new trilogy by the author of the Inkheart series. For slightly older readers, it is brilliant! My review of Reckless is back up on the Teen Reads page, so have a look. If you've ever had any interest in fairytales, this is an absolute must summer read... for everyone. (Note of caution: don't expect these fairytales to be quite how you remembered them as a child!) I can't say enough wonderful things about this book.... just read the review, please. 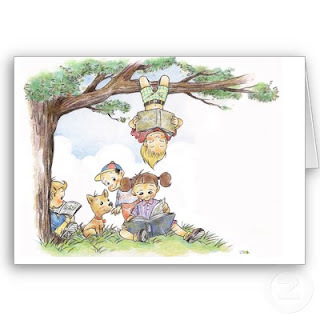 Also, here's the Cornelia Funke fan website, for all things Reckless and Funke! Yes, welcome to July! I know I'm a few days late saying it, but I'm actually on a bit of a holiday. So, I'm fairly inactive right now. So, you probably won't hear to much from me... or maybe you might hear more as I'm not doing a whole lot of anything else.